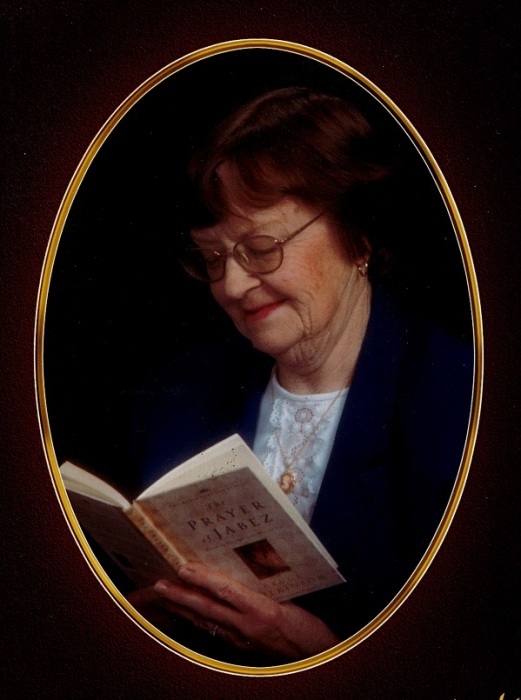 Monnie V. Wolfe, age 96, of Upper Sandusky, Ohio, passed away on Saturday, March 30, 2019 at 11:19am at the Fairhaven Community in Upper Sandusky. Monnie was born on March 13, 1923 in Champion, Trumbell County, to William and Eva Mae (Hogan) Garber, both of whom are deceased. She married C. Edwin Wolfe on November 8, 1944 in Lima, Ohio, as he passed away on March 16, 1991. Monnie is survived by a son, Michael (Emily) Wolfe of Upper Sandusky, a grandson Matthew Wolfe of Fremont, and a great grandson, Brady Wolfe. She was preceded in death by her parents, husband, and a brother, Wendell Garber, and a sister in law, Reva Garber. Monnie was a homemaker and also had worked before her marriage at the Chief Dairy in Upper Sandusky, along with working as a precinct worker for Crane Township during elections. Monnie was a long time member of the Trinity Evangelical United Methodist Church in Upper Sandusky, and was a member of the Progressive Sunday School Class. Monnie was a gifted seamstress and in later years she enjoyed creating hot pads, and other sewed items. She also enjoyed cooking, baking, and also did cooking demonstrations through the former Ohio Power through their community outreach programs. Funeral services for Monnie Wolfe will be held at 11:30am Thursday, April 4, 2019 at the Trinity Evangelical UMC in Upper Sandusky with the Rev. Jim Stauffer officiating. Burial will follow at Oak Hill Cemetery. Visitations will be held on Thursday, from 10:00am to 11:30am at the Trinity Evangelical UMC. Memorial contributions may be made to Building Fund at Trinity Evangelical or the Fairhaven Community. Memorials may be sent to Lucas-Batton Funeral Home, 476 S. Sandusky Ave. Upper Sandusky, Ohio 43351.